Since I graduated from theatre school, I have been a performer, director, choreographer, educator, and producer. 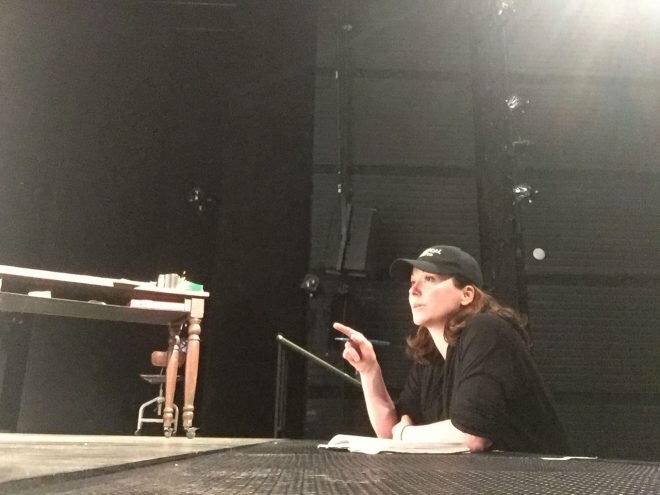 Over the last nine months, I have also been the Intern Artistic Director (#StephanietheIntern) at The Musical Stage Company as well as the Choreographer for Fun Home. Transitioning into these various parts of my career has been a fairly fluid process and a constant evolution. I loved performing. 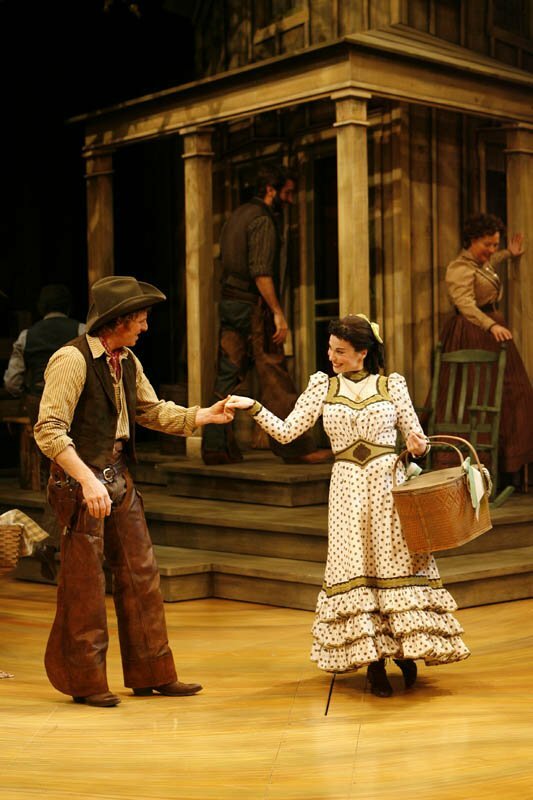 I had the great honour to perform in musicals, plays, operas, and concert dance across the country. It was everything to me. Several people have asked me over the past few years, “So, are you done performing?” I am pretty sure I have closed that chapter, but never say never, right? The last few years I was performing, I started to feel the need to express my own creative voice. Since dance was my first language in the arts, choreography seemed like the natural next step. Directing and choreographing has been an apprenticeship type of learning for me. I had been a dance captain and assistant choreographer, so this observership started while I was still performing. I was then able to assist prominent directors and choreographers, watch their working style, and eventually develop my own. I also feel grateful that I have had many mentors that have encouraged me and told me to follow my impulses. 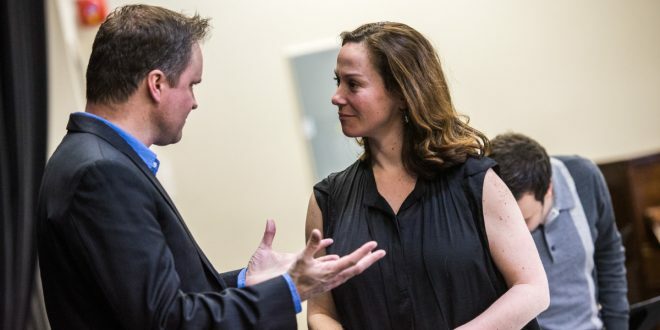 Photo of Stephanie Graham in rehearsal for FUN HOME. Teaching has also been a powerful learning tool for me. I gain so much insight (and feedback!) from my students on how to explain steps or how to best communicate the intention of the scene or movement. I get equal fulfilment in watching beginner dancers succeed in their first few movements or professional dancers going full out with complete utter abandonment and joy. Working with the amazing kids in Fun Home has reignited my passion for working with younger artists. 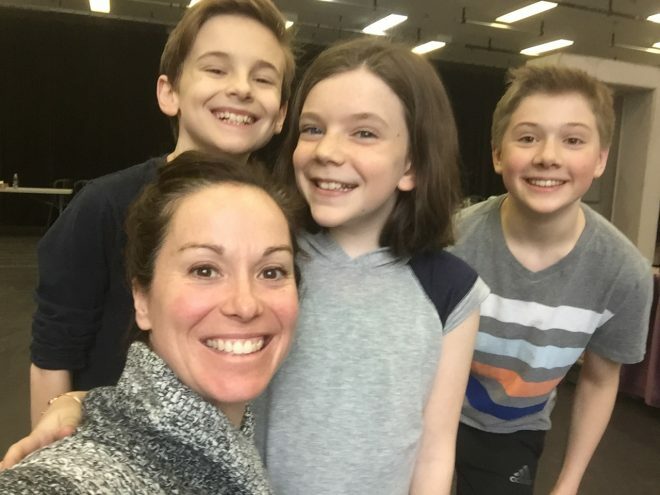 Photo of Stephanie Graham, Liam MacDonald, Hannah Levinson, and Jasper Lincoln in rehearsal for Fun Home. Being an indie producer and then having spent most of this year interning with Mitchell Marcus in Artistic Direction has given me a greater scope of all the moving parts that go into our business. Knowing more about all the elements of the theatre makes you a better collaborator. The importance of community outreach and ancillary programming in the theatre has really been something that I have become passionate about over these last nine months at The Musical Stage Company. 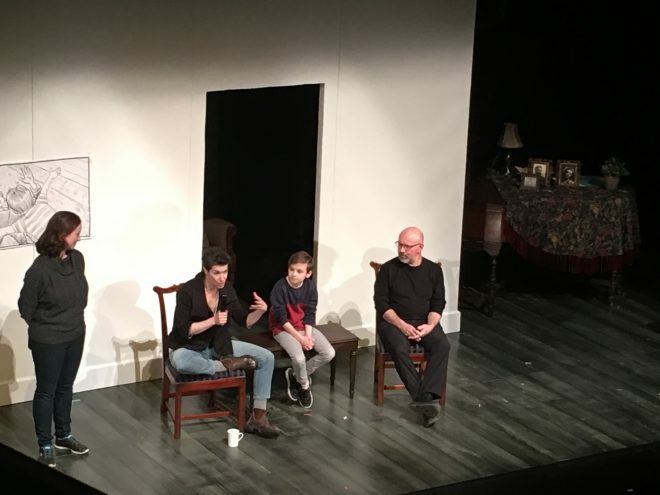 Hosting a couple of the post-show discussions during the run of Fun Home at the CAA Theatre was one of my favourite ways to connect with our audiences! Photo of Stephanie Graham hosting a Fun Home post-show talkback with Laura Condlln, Liam MacDonald, and Merlin Williams. Who knows where the path will lead. All I know is that I am constantly moving forward and growing and learning. I am so grateful to have a life in the theatre. Thank you again to Mitchell Marcus, everyone at The Musical Stage Company, Theatre Ontario and the PTTP Committee for the support during this period of exploration. Fun Home runs April 13 – May 20, 2018 at the CAA Theatre.